In this step, you can see your junk contacts listed. Click to choose contacts you want to remove. Please have in mind that a contact is considered as junk if no more than one field is filled with information (name, phone number, email). 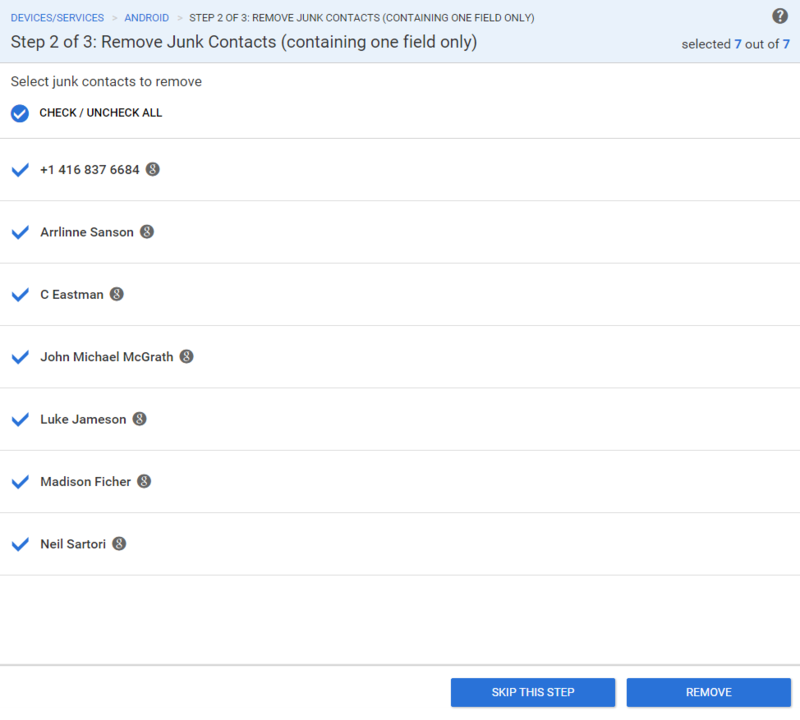 Skip this step – do it if you prefer to keep junk contacts. Remove – remove all junk contacts.